Since our foundation in 1986, we cater to businesses who want outstanding value and service, and a B2B partner that can help them achieve a high-performance workplace environment. For 30 years, we have grown to offer a complete office solution – from supplies, equipment, the latest trends and wide range of furniture options, printing and more. But we have always put more focus on individual customers. Our flexibility and responsive customer care allows us to meet all needs, big or small. 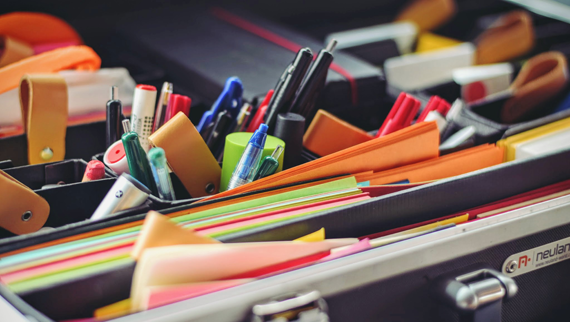 Most office supply chains offer low prices on high turnover items. Our team works with you to understand your needs in a holistic manner, thereby providing the best value – everything from paper to office space/furniture solutions. PLE is a one-stop-shop for all your office needs, but does not take the “one-size fits all” approach. We take pride in handling complete furniture projects, as well as providing advice on what to buy or assistance in seeking hard-to-find items. In our ever-changing world, driven increasingly by technology and a “knowledge” work force, we guide our clients through the myriad of options available for supplies, equipment, furniture, and office space solutions. We help them achieve economic benefits and solutions tailored to their organizational culture, as well as to adapt to the ever- changing workplace. 9106 boul. Henri Bourassa O. © 2019 Papeterie Les Entreprises. All Rights Reserved.